LMAX Exchange, Skippered by Frenchman Olivier Cardin, is confirmed tonight as winner of the tenth edition of the Clipper Race. The team’s victory comes despite finishing the final race of the 14-stage series behind long standing rival for the title Derry~Londonderry~Doire, which was first across the Race 14 finish line, but not by a large enough margin to knock LMAX Exchange off the top of the overall leaderboard. LMAX Exchange was only six points ahead of Derry~Londonderry~Doire going into Race 14, the 198NM sprint finale from The Netherlands, meaning everything was left to play for with twelve points up for grabs. Despite Derry~Londonderry~Doire taking line honours at 2014:39 UTC tonight off Southend Pier, UK, its fourth race win of the series, the team only clawed back two of the six points needed. 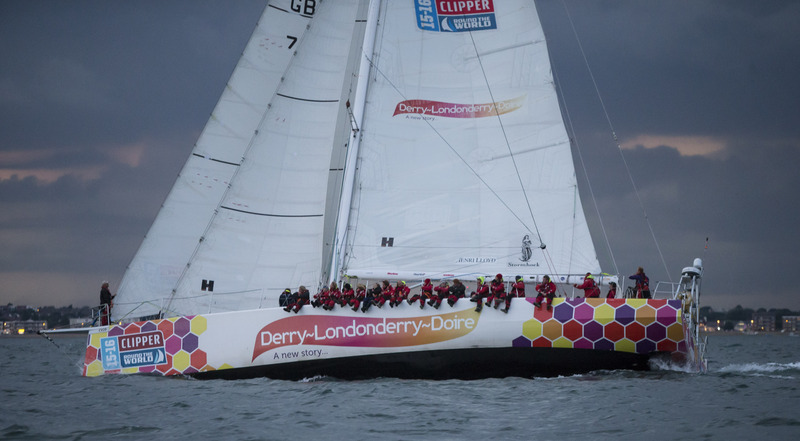 "Going into Race 14, we had a six point advantage over Derry~Londonderry~Doire and a short 24 hour-long race to complete. The last stage of the Clipper Race 2015-16 Race was rather risky. On board, the tension was felt during the first few hours of racing. We trimmed constantly with all hands on deck and people on the rails to keep Derry~Londonderry~Doire in our sights all the time. "Smiles appeared over time and our happiness exploded as we crossed the line two places behind Derry~Londonderry~Doire. Everyone kept the pressure up which resulted in the finish we set out to achieve at the start of the race. "We completed the series with six overall race wins and 10 podiums. The result is fantastic, a fruit of labor from a very hungry team. We are all proud to have accomplished this great challenge. The next challenge will be getting used to life back on dry land again," Olivier added. “We are thrilled to be crowned the overall winners of the Clipper 2015-16 Race. I’d like to thank all  crew who contributed to this herculean effort with special mention to our  round the worlders – the glue that kept our team bond strong throughout. We were very fortunate to have a mercurial skipper in Olivier Cardin and I thank him wholeheartedly for his sailing brilliance. "We set out to win this race to London, as we have done the whole way round the world, so it is great to go out on a high. We knew our fate wasn't in our own hands so all we could do was give it our best shot and the team has proved how strong we are. "Tomorrow is a very special day, it's hard to believe that we have finished the race, but our aim was to be competitive, get everyone round safely and to have fun doing it. I couldn't be more proud of the crew," Dan added. And Derry~Londonderry~Doire round the world crew member Ruth Charles reflected on her and the team's achievement. "I am looking forward to writing my Christmas cards this year with the sign off of ‘circumnavigator’," she said on the finish line. "I am very proud of this team and myself for everything we have achieved, including this final victory. "The closeness of the finish made us work twice as hard, and it’s always good to cross the finish line just in front of another team. 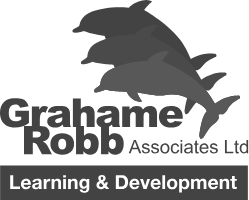 We are happy to share it with Visit Seattle," Ruth added. GREAT Britain takes the third place on the overall race standings. Despite finishing in tenth place in Race 14, the team’s result was enough to keep Garmin (fourth overall and fourth in Race 14) behind on overall points. GREAT Britain Skipper Pete Thornton said: "It is an incredible feeling and one that will be difficult to replicate! 46, 000 NM since leaving London last year.. Third overall, boat in one piece as well as crew! Job done and now I can say that it was tough, tiring, stressful - especially this last race, but as a whole - worth every bit of lost sleep and wet sock. The crew deserve this - well done and until next time!" 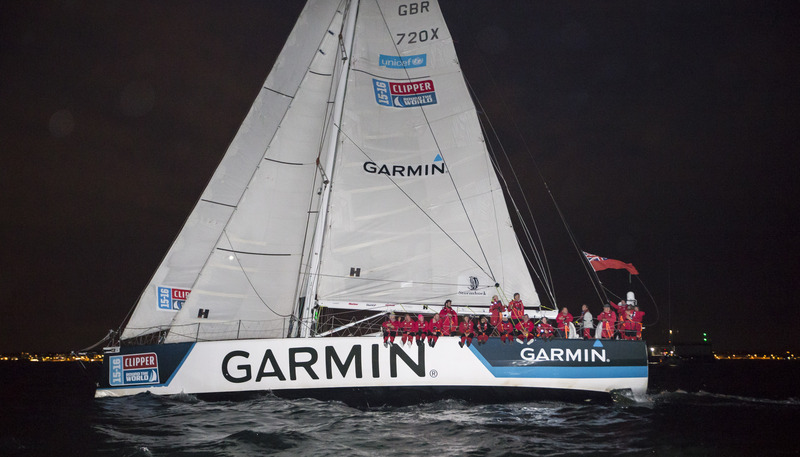 Garmin finished Race 14 in fourth place at 2101:50 UTC. Garmin Skipper Ash Skett said upon finishing: "After sailing 46,216 nautical miles around the globe, as darkness fell yesterday we crossed our outbound track and completed our circumnavigation. "A short while later, we crossed the finish line for the last time and our race is now over. "This race was exhausting, not just due to the closeness of it all, but also the navigation required to safely tack our way up the narrow channels in the Thames. "Fourth position in this one was a good result but sadly not enough to knock GREAT Britain off the podium overall. With their finish of 10th place, it was agonisingly close in the end, with just a single point separating us in the standings. "We are obviously disappointed to miss out by such a small margin, and we can't help but think back to points given away due to things like the odd tactical error or penalty points. "Overall though it takes nothing from the achievement of a successful circumnavigation. It's been an amazing adventure and we are all ready for one last hurrah in London before we return to our real lives once again, whatever they may be now," Ash added. Finishing in fifth place on Race 14 was IchorCoal, crossing at 2133:22 UTC. Qingdao crossed the finish line at 2142:35 UTC in sixth place, and Mission Performance finished in seventh, crossing the Race 14 finish line at 2327:24 UTC. Da Nang Viet Nam finished Race 14 in eighth place at 0041:00 UTC, and in ninth was Unicef at 0046:40 UTC. Finishing in tenth place two seconds behind Unicef was GREAT Britain, crossing the line at 0046:42 UTC. ClipperTelemed+ finished in eleventh position at 0103:03 UTC, and PSP Logistics in twelfth at 0125:13 UTC. To see the final leaderboard rankings, click here.